Hana is a haenyeo, a traditional deep diver, living and working on an island just south of Korea. Emi, her sister, is too young yet to learn the traditional skills necessary to dive so deep. When a Japanese soldier appears on the beach where Emi is waiting with the day’s catch, Hana races to shore to prevent her sister being taken. She has been warned about Japanese soldiers and the fate of the ‘comfort women’ they kidnap. What happens that day in 1943 has repercussions for both girls from that day forward. The narrative is told alternately by young Hana and old woman, Emi and ranges over time and distance. History is written by the victors, but some secrets are buried deeper than others. Not enough has been written about the many women enslaved in brothels to act as ‘comfort women’ for Japanese soldiers. 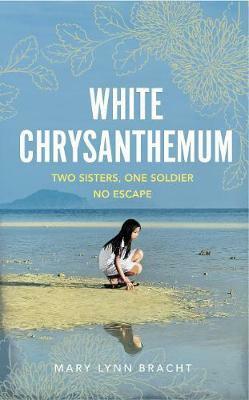 ‘White Chrysanthemum’ is a moving story of love between sisters who are torn from their traditional life and their community by WWII. The war may have ended, but the two women both remain trapped in war by the secrets and lies that surround them. This is a sometimes-harrowing tale for the reader but an important story to acknowledge and witness this still under-recognised war-crime. Deftly told, ‘White Chrysanthemum’ is a heart-rending, but ultimately comforting story of sisterly love.